Known for its confidence, individuality, and grace, the beautiful, bold and social flamingo reflects the fun and romance in living life to the fullest. 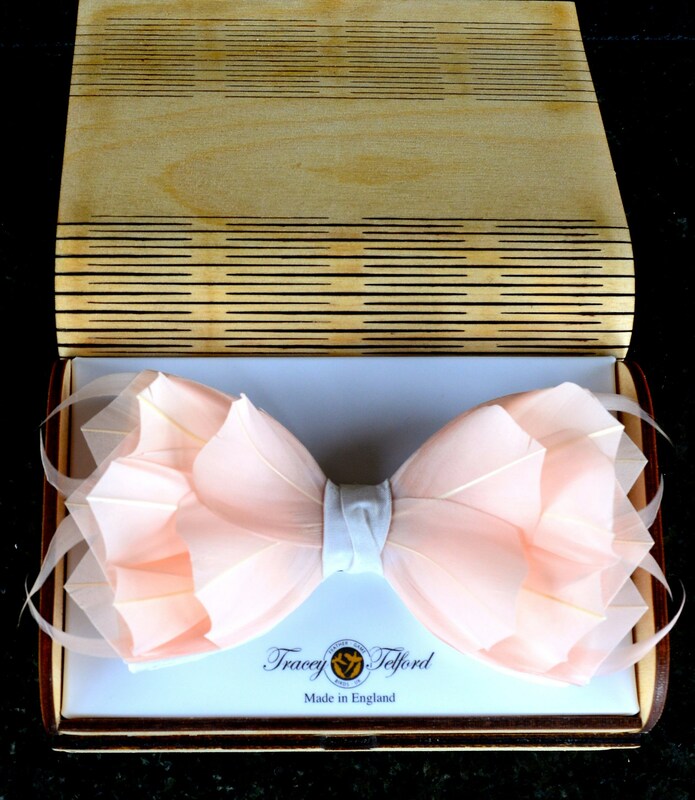 Part of the 2018 Haute Couture range, designed exclusively by plumassier artist Tracey Telford, this enchanting light, soft and rich, contemporary high design bow tie stands proud and will leave you doing the same. 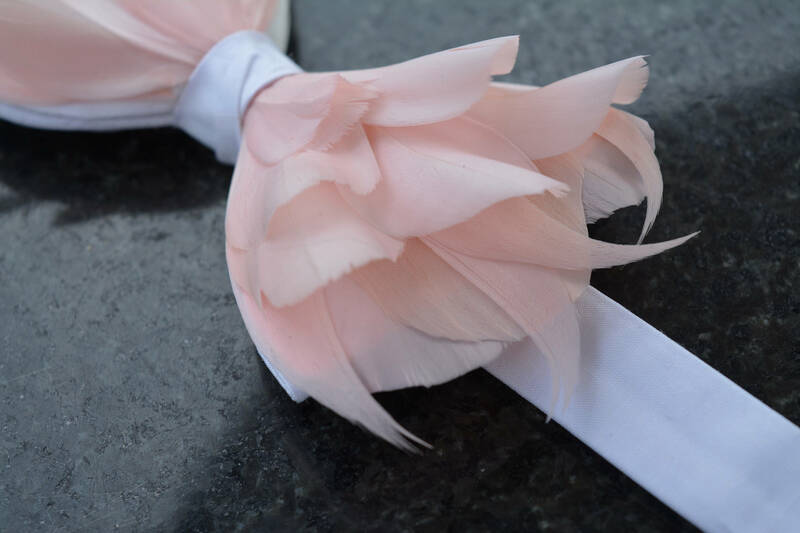 Set on a quality white or blush 100% silk double bow tie, each hand curled and individually placed feather is so deep and luxurious it appears as though velvet to both the eye and the touch. 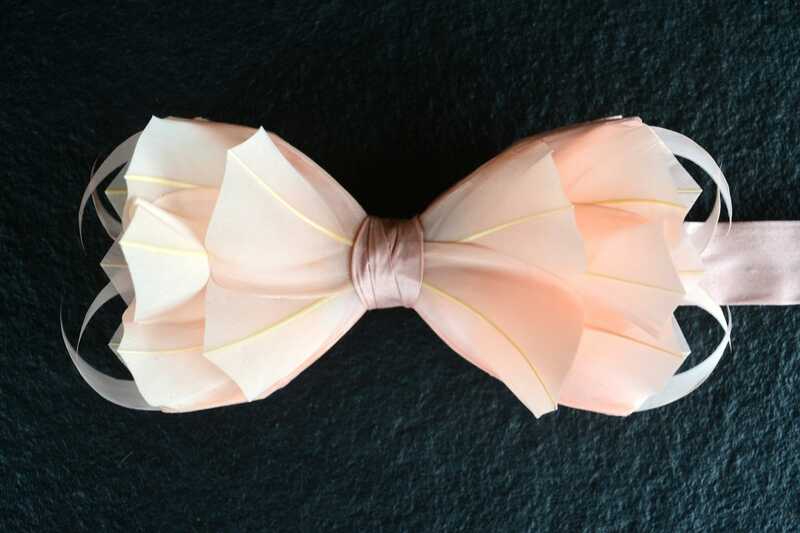 Being individually handmade, this design can also be made available on a quality satin, and a range of others base colours can also be selected to complement your preferred design aesthetic. 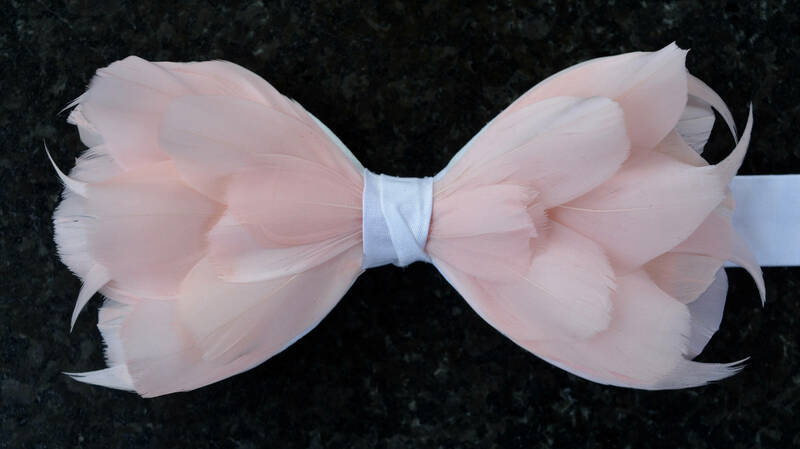 Complementing designs of feather lapel pins, pockets, wrist corsages, hair clips, bridal bouquets, and fascinators are also available for group events, bridal parties and collectors alike. Trace is amazing! She’s made it so easy and allowed these incredibly stunning bow ties to be created organically and resulted truly unique pieces that I will keep forever. I will definitely be purchasing more and I can’t wait to wear our ties at my wedding.